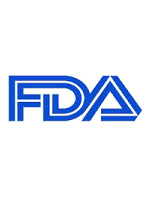 On August 19, 2016, the FDA approved an extended release, abuse-deterrent combination of oxycodone hydrochloride plus naltrexone hydrochloride (Troxyca ER; Pfizer) capsules for the treatment of pain that is severe enough to require daily, around-the-clock, long-term opioid therapy and for which alternative treatment options are inadequate. This combination of an opioid agonist and an opioid antagonist capsule consists of an extended release formulation of oxycodone “pellet” that surrounds a naltrexone core. When taken as directed, the naltrexone is intended to remain sequestered and patients receive oxycodone in an extended release manner. If the medication is crushed, naltrexone will be released and can counteract oxycodone’s effects. The efficacy of oxycodone hydrochloride plus naltrexone hydrochloride extended release capsules was evaluated in one randomized, double-blind, placebo-controlled clinical trial involving 281 patients with moderate-to-severe chronic low back pain who received the combination drug or placebo. Overall, 58% of patients who received the combination drug had a ≥30% decrease in their weekly average numeric rating scale-pain intensity scores versus 44% of patients who received placebo. Furthermore, 40% of patients who received the combination drug had a 50% decrease in the numeric rating scale-pain intensity scores versus 30% of patients who received placebo. The most common adverse reactions reported with the use of oxycodone hydrochloride plus naltrexone hydrochloride extended release capsules included nausea, constipation, vomiting, headache, and somnolence.